The moon is always in rotation just as all of the other celestial bodies are. It takes the moon about 27 days to rotate one time on its axis which is why when we look at it, it seems to be perfectly still. When we look at the moon it almost always looks basically the same which makes a lot of people question whether or not it rotates at all. 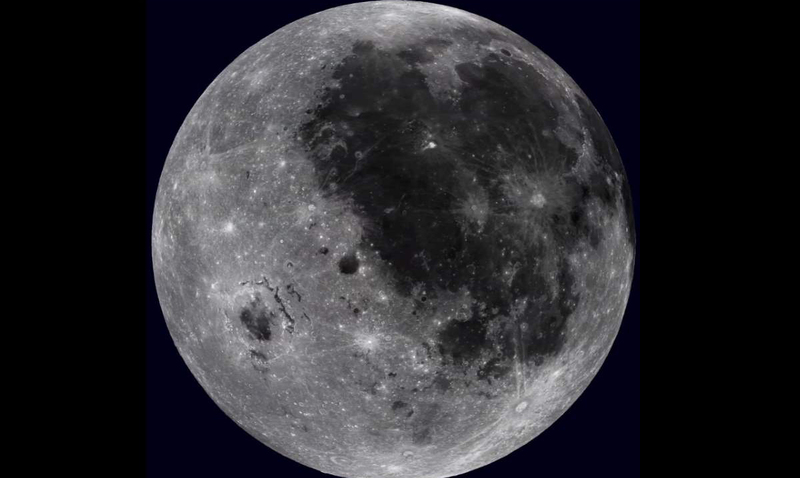 The side of the moon that we see more often than not is known as the near side and we see it because the kind of rotation the moon has a synchronous rotation. The side of the moon that we don’t really get to see is the side that is heavily cratered and covered by large dark planes. It is nowhere near as smooth and pleasing as the side that we are used to observing. I recently came across a time-lapse of the moon full spin and it truly blew my mind. This time-lapse was taken in high-resolution by NASA. It was actually the ‘Astronomy Picture of the Day’ back in 2013 and was taken from the Lunar Reconnaissance Orbiter spacecraft that has been in polar orbit around the moon since 2009. The Lunar Reconnaissance Orbiter is basically a satellite. It was sent out to map the moon’s surface and has been given several missions throughout the years. This interesting robotic observer has been collecting lots of data throughout the years and made very important contributions to what we know about the moon itself. It has brought many videos and images to the public that otherwise, we would never be able to obtain. You can click here to see some of the amazing images it has brought forth. No one, presently, sees the Moon rotate like this. That’s because the Earth’s moon is tidally locked to the Earth, showing us only one side. Given modern digital technology, however, combined with many detailed images returned by the Lunar Reconnaissance Orbiter (LRO), a high-resolution virtual Moon rotation movie has now been composed. The above time-lapse video starts with the standard Earth view of the Moon. Quickly, though, Mare Orientale, a large crater with a dark center that is difficult to see from the Earth, rotates into view just below the equator. From an entire lunar month condensed into 24 seconds, the video clearly shows that the Earth side of the Moon contains an abundance of dark lunar maria, while the lunar far side is dominated by bright lunar highlands. While you might think you’ve seen the moon completely until you take a peek at the video below I can assure you that you have not. This time-lapse will give you a view of the wonderful body that lights up our night sky in a way you have not ever experienced before. The moon is very interesting and being able to see it like this is truly magnificent. Isn’t it beautiful? I for one think the things that the LRO has offered us are truly marvelous. Without this kind of thing, we would not be where we are today.